PHOENIX – Arizona education scrapes the bottom ranks in the nation, receiving a D+ for school funding and the poverty achievement gap in an annual report card released Wednesday. Arizona ranked 45th among the 50 states and the District of Columbia in the “Education Week” rankings for 2018, with a score of 68.7. But the U.S. as a whole didn’t score much higher: It got a C. Only 12 states received higher than a C+ overall score. The D+ ranking is not new to Arizona: The state’s grade has not changed since Education Week – a national newspaper for education topics, published by Editorial Projects in Education, a Washington, D.C.- area nonprofit – updated its grading category three years ago. Erin Hart, chief operating officer for the education-advocacy group Expect More Arizona, said the state has historically received low scores in such nationwide reviews. The Education Week report card examined three categories to determine rankings. 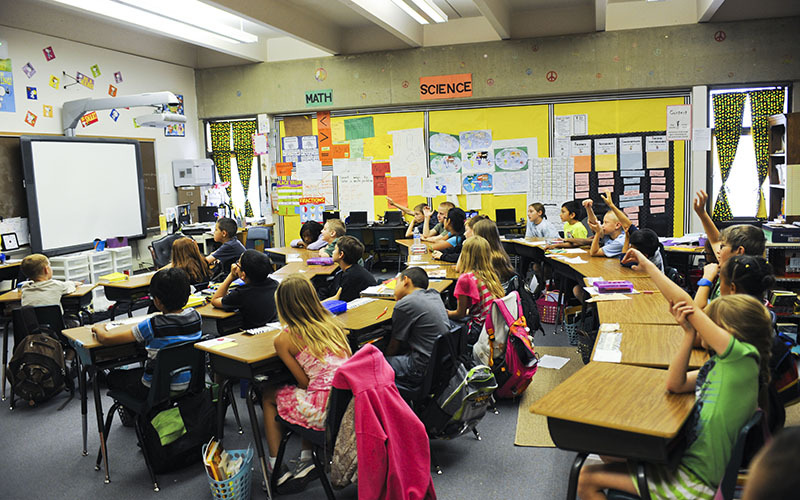 Arizona’s schools earned a C in the “Chance-for-Success” category, which measures the poverty gap, looking at factors such as parents’ education attainment, job longevity and income. Academic achievement, including math and reading scores and graduation rates, earned a C- in the “K-12 Achievement Index” category. But school financing is still dismal, according to the report’s grade of a D- placing Arizona No. 46 in the nation. The national average for financing was a C.
In his 2018 State of the State address last week, Gov. Doug Ducey vowed to focus on improving education. “Let’s spend these dollars – tens of millions of dollars combined – where they can go to better use: In our public schools and for our teachers,” Ducey said. Much of the governor’s proposed $10.1 billion budget is devoted to education, which Hart called a step in the right direction.